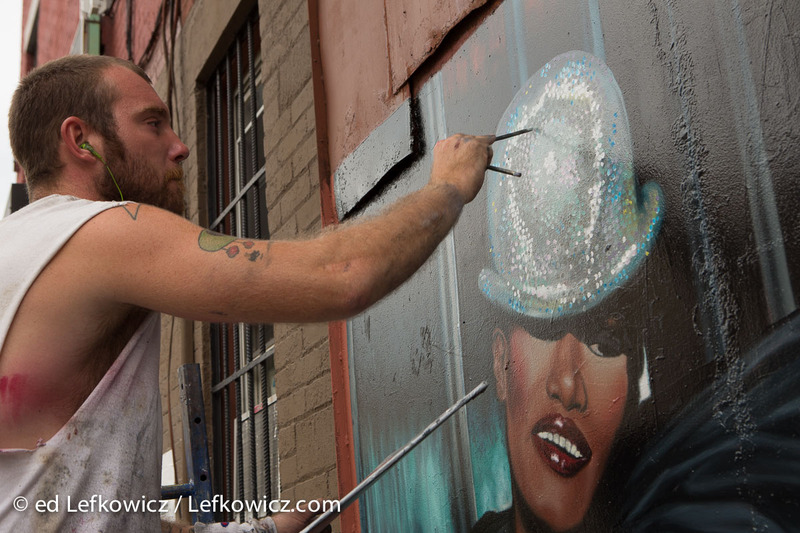 Justin O’Daffer, of Colossal Media Group, painting a mural advertising a Grace Jones concert. They can’t find it because they don’t have a system for digital asset management—that’s what the process is called, and at the enterprise level, which is to say not the you-and-me level, there are people in charge of such things. If the business is you, or you and Jane, the manager of digital assets is you, or Jane, and you may not yet have a system. That’s probably overdoing the filter, but you get the idea. If your products have SKUs, you can organize by those, although it’s a bit tricky if you file by name but want to retrieve by SKU or the other way around. I name and organize the dates YYYYMMDD so they’ll automatically sort chronologically. If I have to, I can easily find, through email records, invoice, or the like, when the assignment was shot, so I can then get to the images. Video project files are numerous and large, whether you’re only dealing with finished video files (which may be in multiple formats for multiple platforms) or the working clips, which may be from multiple cameras, and which may include audio clips, but the principle is the same. These methods are pretty basic, but they may be better than what you’re using now. In the next post, I’ll take you to the next step.